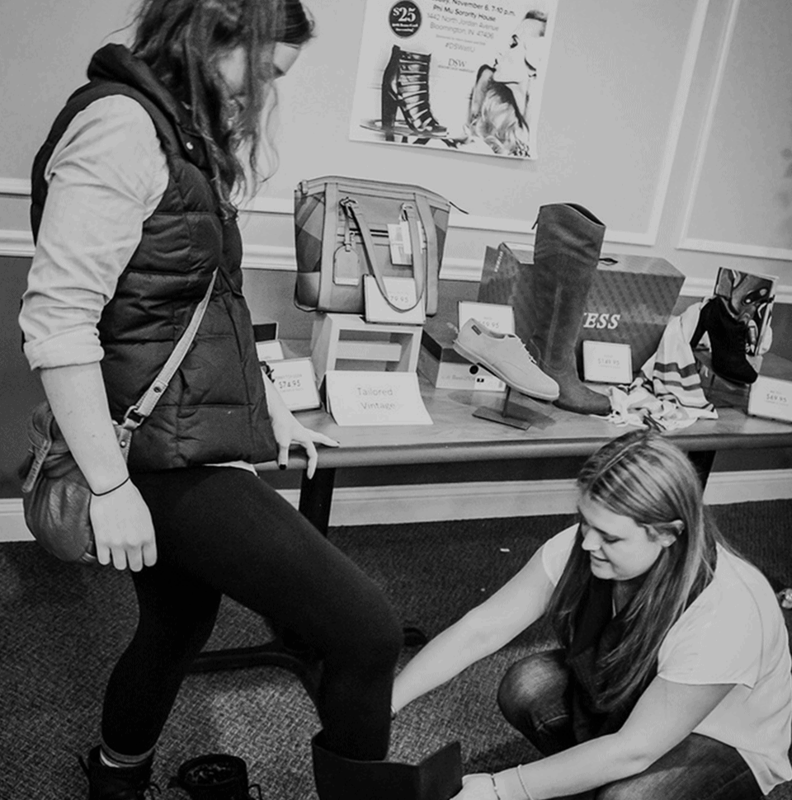 Campus Commandos organized shoe fitting events at sorority houses on each campus. Our female commandos organized the participation in the sorority community, conducted the shoe fittings, and talked about the history of styles and famous people wearing those looks. 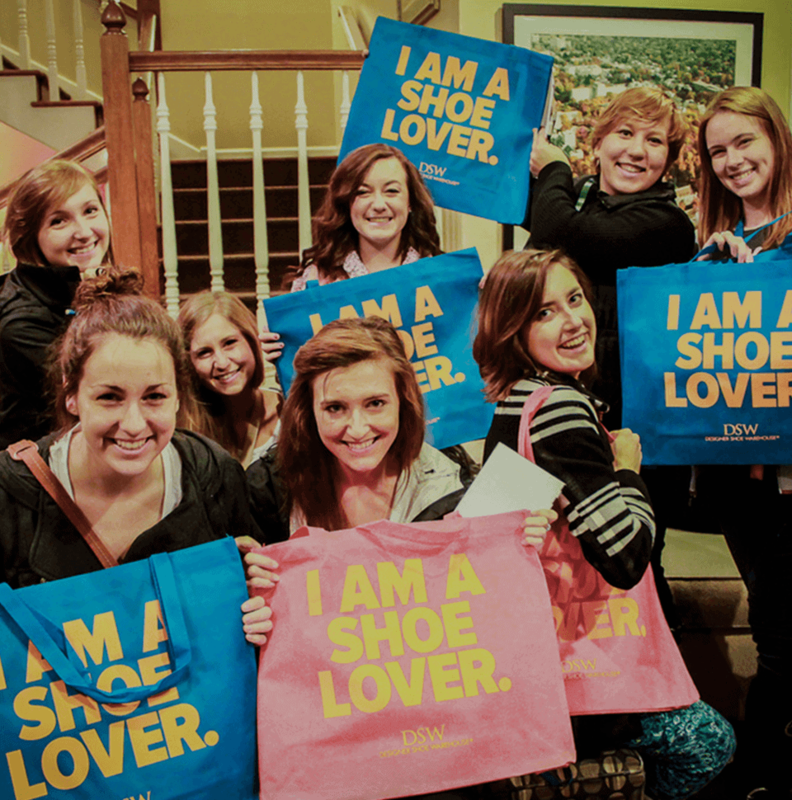 Each sorority member who tried on a shoe received a 15% off coupon and those that bought the very next day received 25% off. In exchange for each sorority hosting the event, DSW donated 5% of sales from coupons in the month of October to that sorority’s philanthropy. Campus Commandos created a fun, social atmosphere, with free food and drinks, including a “decorate a shoe” cookie contest with a raffle to win a free pair of shoes. 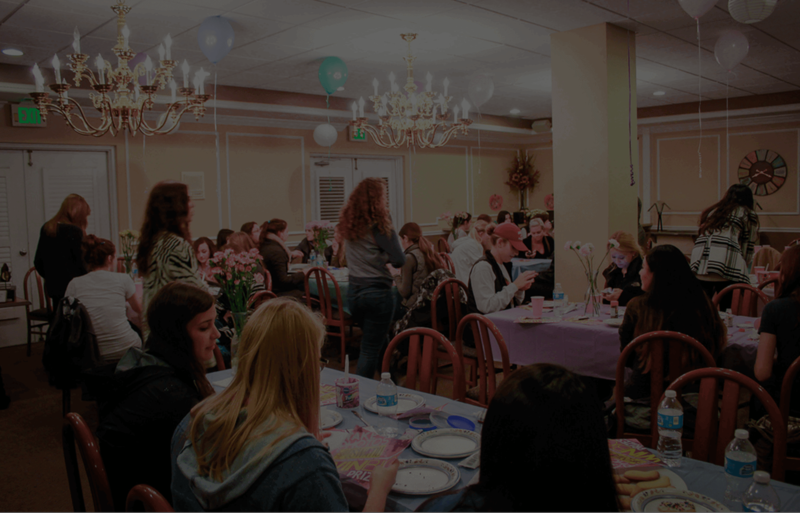 In exchange for each sorority house hosting the event, DSW donated 5% of sales from the coupons in the month of October to that sorority’s philanthropy.